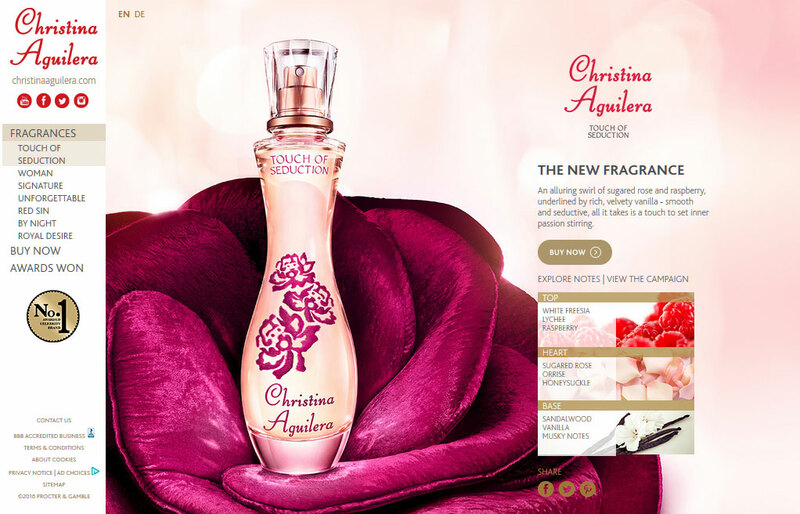 Singer-songwriter, actress, and judge on The Voice Christina Aguilera releases Touch of Seduction perfume. The floriental fragrance for women includes notes of raspberry, sugared rose, and velvety rich vanilla. 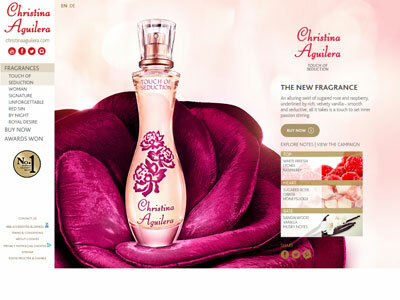 Launched in September 2015 and available in eau de parfum spray and matching body products. An alluring swirl of sugared rose and raspberry, underlined by rich, velvety vanilla - smooth and seductive, all it takes is a touch to set inner passion stirring.